Help : The Vendor Details Window allows you to display and maintain all products for a selected Vendor. Help : The Vendor Tab displays the Vendors. 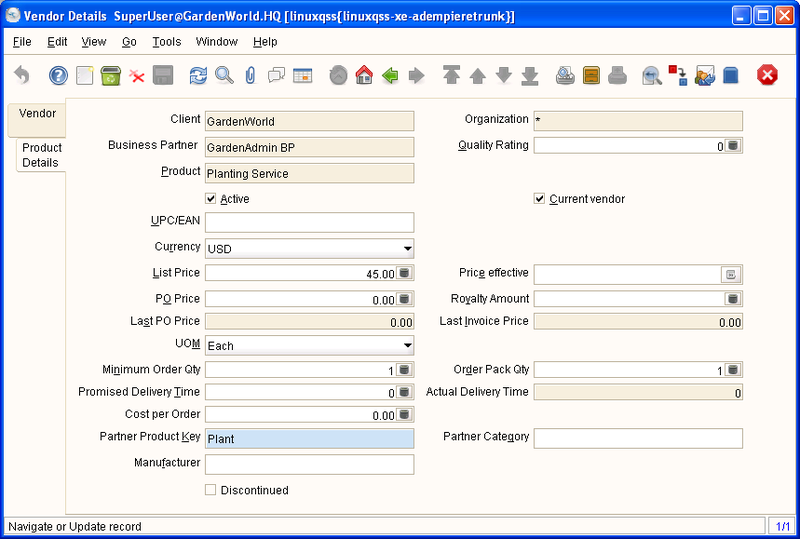 A Vendor is selected and all products for that Vendor will be displayed. Help : The Product Details Tab allows you to display and maintain all products for a selected Vendor.